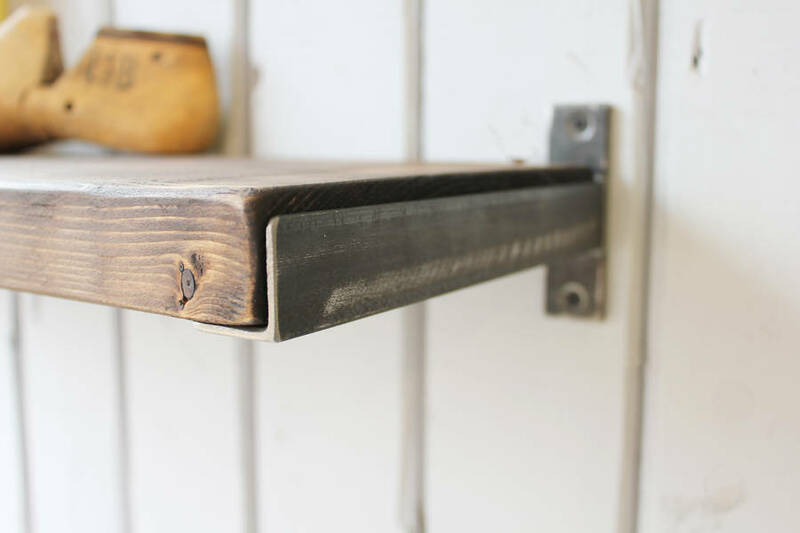 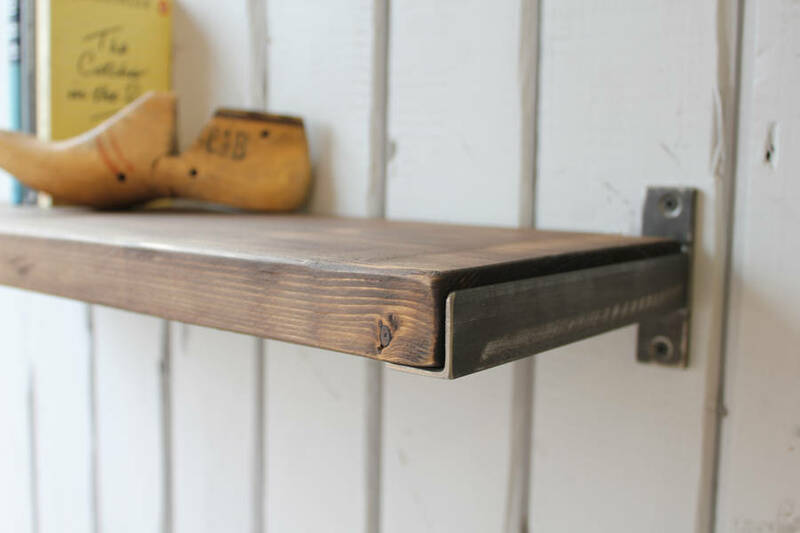 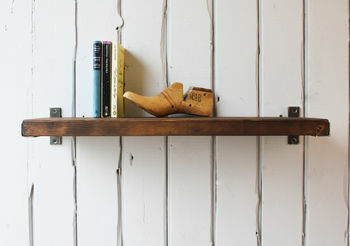 An industrial wood and steel wall shelf. 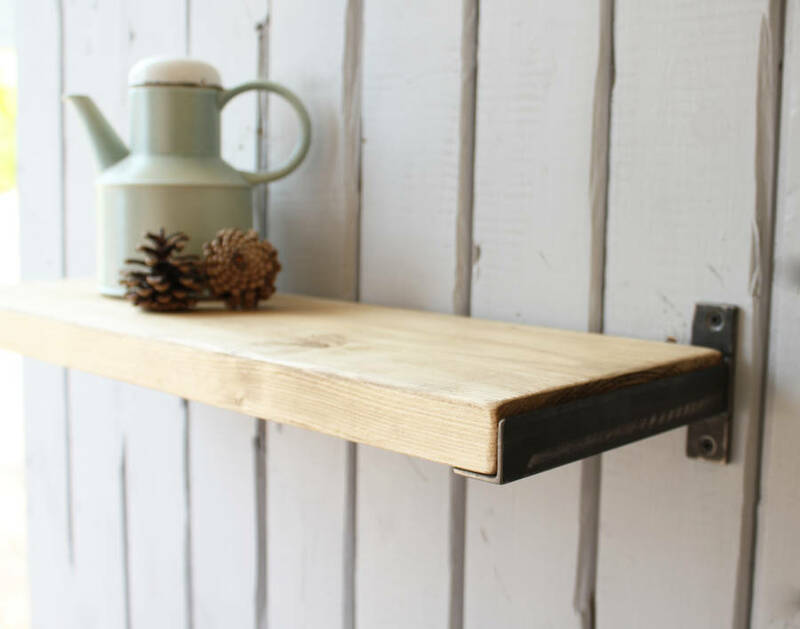 This industrial inspired shelf is individually handmade in the UK. 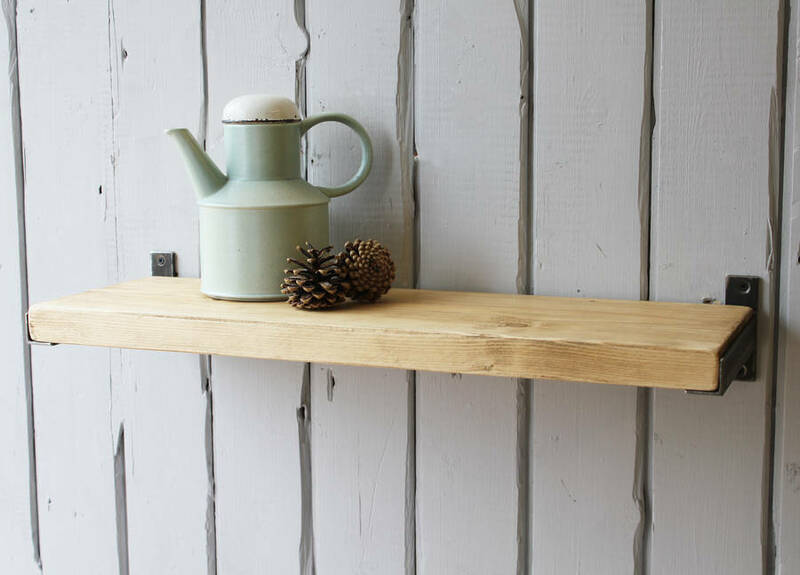 An elegant and versatile wall shelf that will look great in any room of the house. 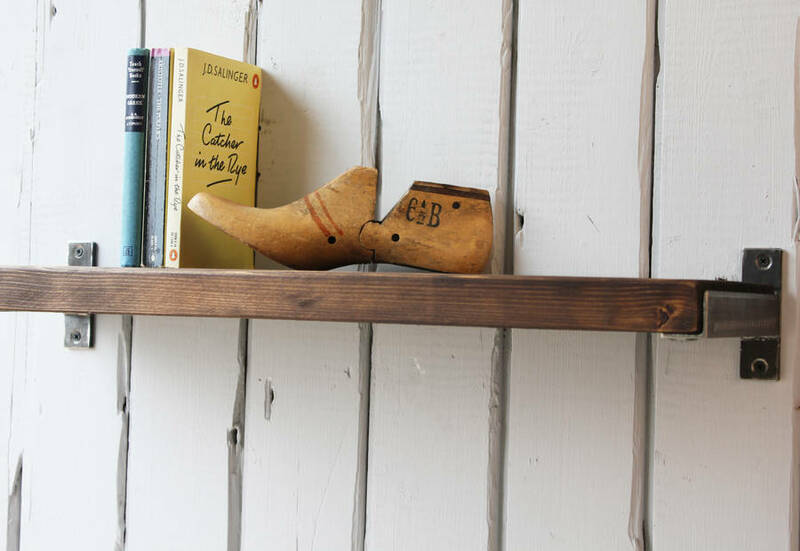 Please do contact us as we can custom make any size according to your own specification. 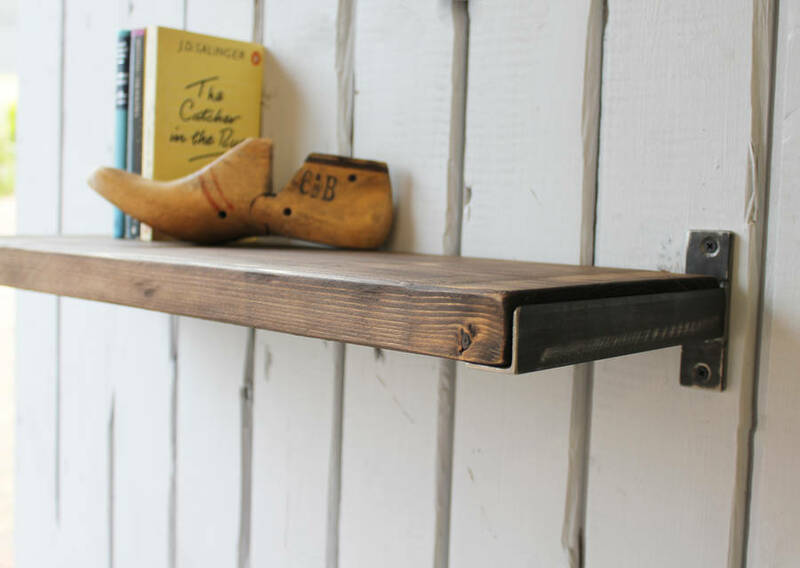 Each shelf comes fully assembled with handmade steel brackets.